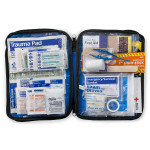 Be ready for all potential emergencies when on the road. 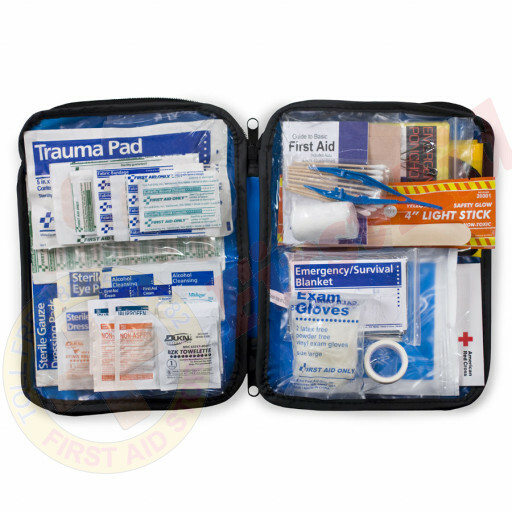 Our new generation of Soft sided kit is developed to save time and frustration in the midst of emergency situations. 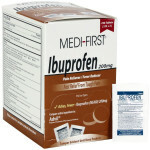 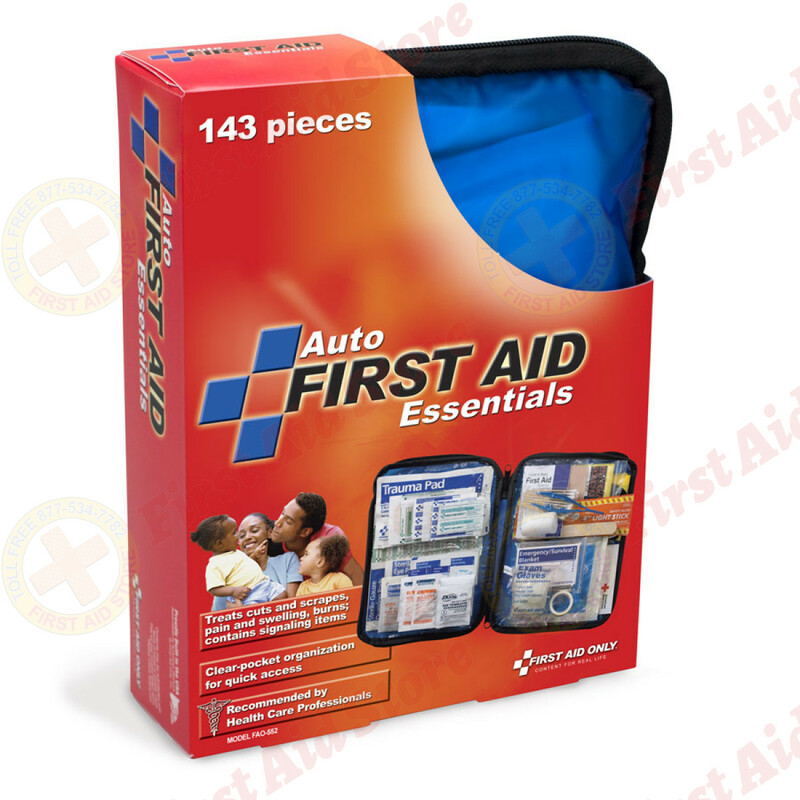 A convenient first aid bag perfect for your automobile or for travel. (50) Adhesive plastic bandages, 3/4" x 3"
(10) Junior adhesive plastic bandages, 3/8" x 1-1/2"
(2) Elbow & knee plastic bandages, 2" x 4"
(6) Gauze dressing pads, 2" x 2"
(2) Gauze dressing pads, 3" x 3"
(1) Trauma pad, 5" x 9"
(1) Conforming gauze roll bandage, 2"
(2) Moleskin squares, 2" x 2"
(1) First aid tape roll, 1/2" x 5 yd. 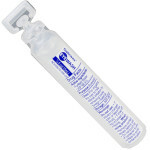 (1) Finger splint, 6" x 3/4"
Kit Dimensions: 7.25" x 2.38" x 9.5"
The First Aid Only® 143 Piece Extra Large, Auto Soft Sided First Aid Kit.